Is Memorandum of Understanding enough? As the number of NGOs evolve in each field and each country, the need for project management in these organisations has increased. Especially when they are partnering with governments? Contracts need to fit in this changing environment, and they can play a meaningful role in the project’s success. The fundamental aim of this research is to understand the memorandum of understanding, what is it exactly and are there any other options for an NGO when the need for a partnership with government becomes crucial. The paper ran a literature review on recent research to assess the main challenges with several types of contracts or agreement. Then, the paper established the impact of several types of contracts or agreements on NGOs’ project with. Finally, the paper analysed how each effect and action of contracts or agreement can contribute to project management performances in the humanitarian sector. The obtained results have shown that NGOs have many options regarding contracting out with a government that could improve performance management but have better results in a long-term vision. For the past three decades, NGOs have grown in interest, in power and numbers. They can now answer many challenges and opportunities for reducing poverty and hunger, increasing child education, promoting human development and many more. Governments seek to forge a strategic partnership with NGOs. They have united to solve many issues by sharing a common goal and a development guideline. These long-term developed goals would be pursued by the alliance of the public sector and non-profit sector. We are going to study the partnership relations between NGOs and governments, in the field of international cooperation from a management perspective. Management allows us to analyse the relations between the NGOs and governments into account the two parts simultaneously, not only one as a complement of the other but also one in dialogue with the other. 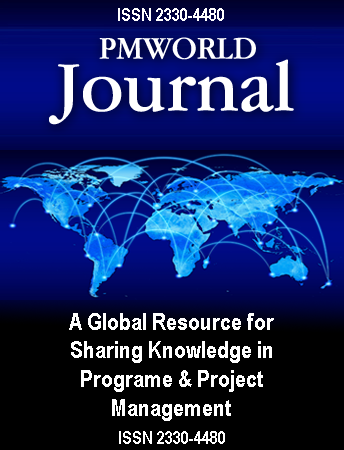 “Project Management will allow us to examine how these organisations have built their partnership relationships over the years and, more specifically, how actors negotiate their dependence and autonomy within their relationships in the memorandum of understanding”  . The NGO sector is exceptionally diverse, heterogeneous and populated by organisations with hugely varied size, scope, targets, structures and motivations. Therefore, they face many challenges which, together with an absence of proper project management methodology, usually cause poor project planning, lack of stakeholder involvement, partial risk management strategies, unmotivated project team and eventually – lousy quality, losses of time and money.